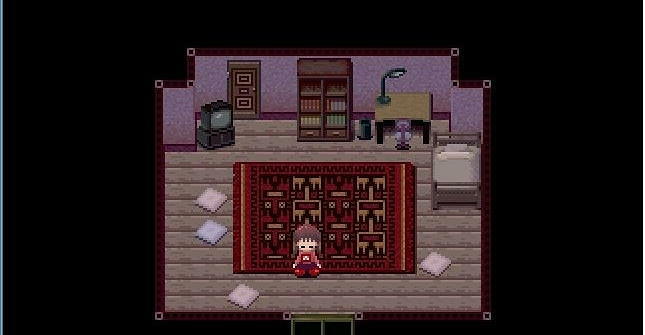 Cult-classic Yume Nikki Returns After a Decade of Silence, to Showcases Once Again the Artistic Merit of Pixel Art Games in the Pursuit of Abstract Storytelling. I’ve always had a penchant for console games. I grew up playing them, starting with my dads NES and on to my own PlayStation’s and Xboxes, never really anticipating that I would ever branch into PC gaming until I was introduced to Steam, in my early years of university. It was cheaper, easier to access and the ability to mod games astounded me… the issue was I had only a seven-year-old ThinkPad, and nowhere near enough funds to purchase a computer capable of running any of the games available to me. What then, is a starving student supposed to do? Play RPG Maker games, of course. A friend of mine, equally as poor but clearly more resourceful than myself, introduced me to a facet of independently made video games that were popular in the early 2000’s. Developed using RPG Maker software, a lot of these games were simplistic, but had developed an almost cult-like fan following, thanks in part to their popularity on the likes of 4chan and other imageboards. They were easy to install, took almost nothing to run, and were surprisingly captivating. Starting out with games like Ib and Corpse Party, I took any recommendation my friend threw at me, eventually landing on a game that had garnered its fantastical reputation not only through its out-of-the-box gameplay, but through the mystery surrounding its creator and purpose. Yume Nikki is a 32-Bit freeware game created by Kikiyama, a solo game designer, developed using RPG Maker 2003. It was initially released on June 26, 2004, and was updated until October 1, 2007. Originally a little-known game, even less can be said about the eponymous developer Kikiyama, due to the scarcity of information regarding their identity and location. After updating the game one final time in October 2007, Kikiyama (who was already incredibly distant and secretive) virtually disappeared. Nothing had been heard or seen of them for almost a decade, until very recently, when Yume Nikki was released by publisher Playism on Steam in January 2018. Since then, Kikiyama’s website was updated (on February 6th, 2018), with the addition of a “Yume Nikki – Dream Diary” logo, seemingly advertising a 3D reboot by Kadokawa Games, to be released on Steam February 23rd, 2018. Due to Kikiyama’s radio silence, and despite Yume Nikki’s gaining popularity, fans never received any explanation from the game’s creator as to what it was truly about. Without any concrete answers, the story emerged through the fandom itself, who were free to theorize with a zeal I have not seen since the early years of Silent Hill 2. Thanks to the mystery surrounding Kikiyama, and the abstract functionality and surrealist tableaus of the games dream-world landscapes, Yume Nikki is a brilliant example of the artistic merit of pixel art games in the pursuit of abstract storytelling, and helped to inspire a new genre of games, from fan-made sequels to original adaptations of exploration horror. 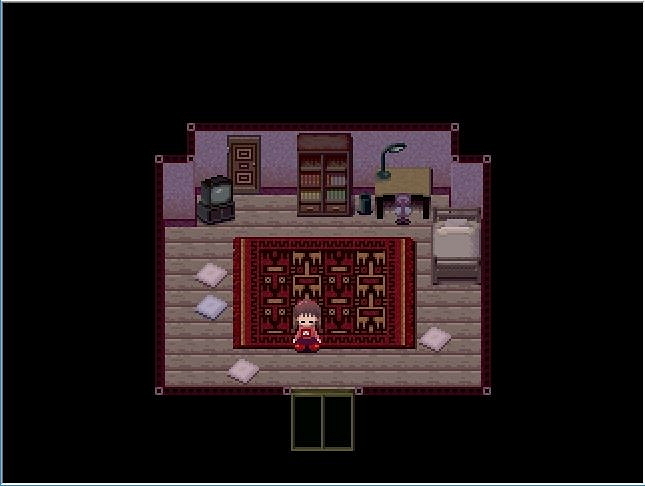 In game, players take control a hikikomori (a shut-in) named Madotsuki, who refuses to leave her apartment. The game begins, and takes place in its entirety, within that sparsely decorated space, where the only interactable items are a desk (where you can save the game), a Famicom (where you can play the worlds most nihilistic game, Nasu), a bed and a door. It is possible to interact with the door, but Madotsuki will not leave the apartment, and will vehemently shake her head if you try. The only thing to do is sleep. After Madotsuki falls asleep, the real core of the “game” begins when she dreams. In her dreams she can leave her room and explore various landscapes through a nexus of doors, which lead to places like a neon maze, a world of candles, a forest, and many, many others. These worlds are all interconnected in their own way, with no rhyme or reason dictating how they fit, and together, they form a large, expansive world for the player to explore. There is no real gameplay. These worlds are mostly just sets of looping boards that the player needs to comb through ad nauseum in order to accomplish the single, concrete goal of the game: collect 24 objects, otherwise referred to as “effects,” and deposit them into the nexus. Each effect changes Madotsuki’s appearance and will sometimes allow her to perform certain actions, although attempting to interact with any of the creatures and objects you encounter in Madotsuki’s dreams will leave you disappointed. Because, while few may illicit some kind of response, they tell you nothing about why they are there, or what they are. There is no game over, either. You can be trapped in an inescapable area by the skinny, beaked Toriningen, which are the closest thing to an “enemy” Madotsuki encounters in her dreams, but even then, there are no stakes. Madotsuki can pinch her cheek at any time to wake up. There is no way to lose in this game. Because it has to mean something, right? But then, what do dreams mean? Because that’s what this is: the whole story (or what little concrete information there is to be found) is only discoverable in Madotsuki’s dreams. Sure, you can spend your time in the waking world, playing the soul-destroying Nasu or turning her TV on and off, but then you wouldn’t be playing the game at all. The whole point is to discover what is going on with this silent protagonist through the exploration of her dreams. Yume Nikki is best described as just that: a dream exploration simulator. It’s something the game does exceedingly well, and which I am hard pressed to find any other example of that meets or exceeds its caliber. Certainly, there are many walking-simulator style games that attempt to emulate what it’s like to dream, but none of them succeed in doing so as fluently and unobtrusively as this one, and I believe that it owes its success, in part, to its style and platform. Break down awareness in a dream, and you’ll realise that this game encapsulates it perfectly. The landscapes loop endlessly, and you can easily find yourself in a new place with no idea how you got there, or even the faintest idea of where you were ten minutes before. The characters you find are deeply unsettling, but they fit in their respective places, and the situations Madotsuki finds herself in, while fantastical, never seem to be completely out there. Sure, the spaceship she was on just crashed onto Mars, but she’s dreaming, so anything is possible, right? Maybe she has an interest in space? No one speaks and no one interacts with Madotsuki, but she doesn’t speak or interact with anything or anyone else, so it isn’t a deviation from her norm. It fits within the realm of our understanding, with surrealist fantasy flung overtop of it, because it is a person’s subconscious we are exploring. Madotsuki’s subconscious, wherein she has a penchant for Nazca artwork, neon lights and a morbid fascination with the body. The effects provide a reason for the player to leave Madotsuki’s dream room and explore, but they do nothing to clarify why Madotsuki dreams the things she does, or what they are. There is a reason speculative fan-theory is such a prevalent part of Yume Nikki’s cult following, and its because the game gives you very little to go on. All you have is Madotsuki’s refusal to speak or go outside, and the strange landscapes, scenarios and creatures you see in her dreams, to help you formulate some kind of a plot. And everyone thinks something different. There are multiple theories explaining away Madotsuki’s behaviour, ranging from her being bullied, abused, quarantined or a violent psychopath. The pixel art design and reliance on surrealist sprites adds to this, leaving the plot up to player interpretation. It doesn’t matter what Kikiyama meant; a story has no meaning outside of the mind of its reader, and a video game functions exactly the same. But I feel like that is the purpose of this fundamentally abstract style of game. The whole thing functions as an exploration-simulator, with lots for the player to see and very little to do. Human beings are master pattern-recognizers, and we have an innate need to group seemingly unrelated things into boxes that make sense to us, be they stories or objects that relate to our life experiences. This is seen over and over again in pixel art games, and can be exemplified through something as simple as an octorock from the original Legend of Zelda. Millions of people looked at that grouping of little coloured blocks and decided that was an octopus that spat rocks out of its mouth. In this way, we’re doing the work. The developer is putting something purposefully vague in front of us, and the idea of what it is and what it means becomes something for us to fill in on our own. We all have different experiences that inform what we take away from it, but in the end, we live relatively similar lives: we all have childhoods, parents and friends. We are all born, we all grow, we work and then we die. Similarities in our decision of what the game means is due to shared experience, persuasive arguments and confirmation bias. And the success of this kind of story-telling is owed, in part, to the medium upon which it was created. While 3D games tend to have an innate desire to emulate reality, a game like Yume Nikki is not reigned in the same way. Even in games like Banjo Kazooie, where there is clear suspension of disbelief in that you are playing as a bear who carries his best bird friend in his backpack, there are certain rules of realism that cannot be broken. Grass and trees still have to resemble what we know grass and trees look like, in order for us to understand it, and for it not to come off as buffoonish or silly (beyond a reasonable limit). An RPG Maker game has more freedom in its simplicity. Anthropocentrism will always prevail in a game that mirrors our world, in situations that are focused on drama, character and conflict. 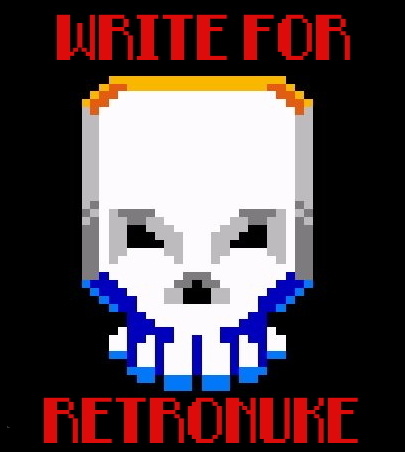 But a pixel art game is closer to visual literature than an actual drama or story, as it deviates from rationality and realism, and we ourselves have to quantify and assign it meaning. This makes it the perfect format for a game like Yume Nikki, which relies on the adaptation and use of fantasy and imagination, rather than fundamental realism. This isn’t to say that a realistic game, set in a world that mirrors our own (ala Silent Hill 2) can’t achieve the same level of speculation and mystery. It just does so in a different way, one that doesn’t rely on purposeful ambiguity and a natural existence in the abstract. Yume Nikki, despite its simplicity, redefined what psychological horror could be, and gave birth to a whole new genre of games, most of which are simplistic in design and functionality, but are no less impactful. It took a style of game that was most often assumed to be older and dated (in the era of 3D gaming) and revitalized it, by demonstrating a different adaptation. To butcher and paraphrase Tolkien, something is “not really less beautiful because we have seen or heard other like events,” and by taking a non-linear, abstract plot and attaching it to a no-stakes, explorative game developed in a simplistic, pixelated art style, Kikiyama created something completely fresh and new. “Yume Nikki – Dream Diary” is set to go live February 23rd on Steam, and I will admit I have my reservations. As a 3D restyling of a game that, in its original iteration, owed much of its charm and success on the trappings of being a 2D, pixelated RPG Maker game, I am unsure of how well it will be received. However, while I am not convinced that the reboot will be able to hold on to the allure of the original, I am ecstatic that by benefit of its development, it will revitalize a game that might have otherwise continued to fade into obscurity, and will help Yume Nikki to reach a new generation of gamers and a greater audience. You can download Yume Nikki free on Steam, and be sure to keep your eye on “Yume Nikki – Dream Diary” for its release later in February. Eater of pizza, wearer of odd socks, and player of video games, Liz can most often be found in her apartment in Toronto, Canada with a controller in hand and a cat on her lap. After being introduced to gaming at ten years old with Super Mario World and A Link to the Past (when she could wrest the controller away from her dad), she has been hooked on side-scrollers and adventure-RPG’s since. In recent years she has developed a love for indie games, in particular colony management simulators, story driven point-and-click adventures, and spooky scary survival horror. For more on Liz (and an indiscriminate amount of cat pictures), follow her on Twitter @glizfindel.